Will Cotton’s “Cupcake Katy” (2010) went on view at the National Portrait Gallery, but not without some local finishing touches. Our store has finally reopened to take your pre-orders for club racing singlets! 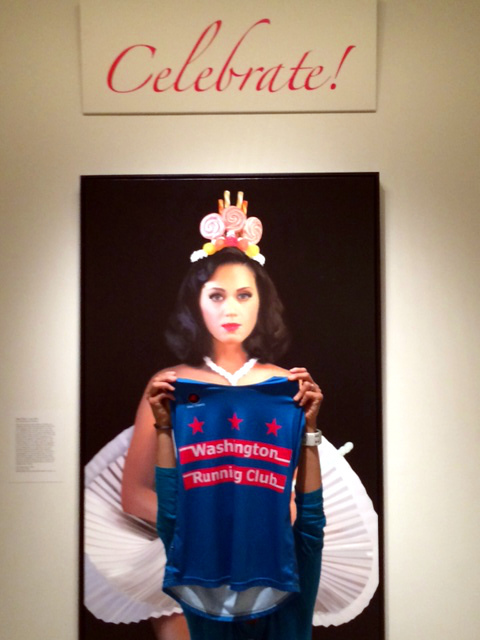 One American songbird, Katy Perry, already received hers and wore it out to the National Portrait Gallery (June 18 – July 6)! artnet News has another view of Katy’s NPG selfie. So WRC members: place your orders, and we’ll have you suited for our own sweet sport. This entry was posted in Logistics, Photos, Social by Carla Freyvogel. Bookmark the permalink.